Trimming your trees has many benefits. It helps the health of the tree by getting rid of dead wood, extra weight, crossing limbs, and possible infections. Trees can also become a safety hazard that can only be solved by trimming them or removal of the tree. Trimming your tree can also help beautify your yard and keep it looking great! I think my tree is infected. What should I do? Call us immediately! The longer your tree is infected, the less likely it is to survive. 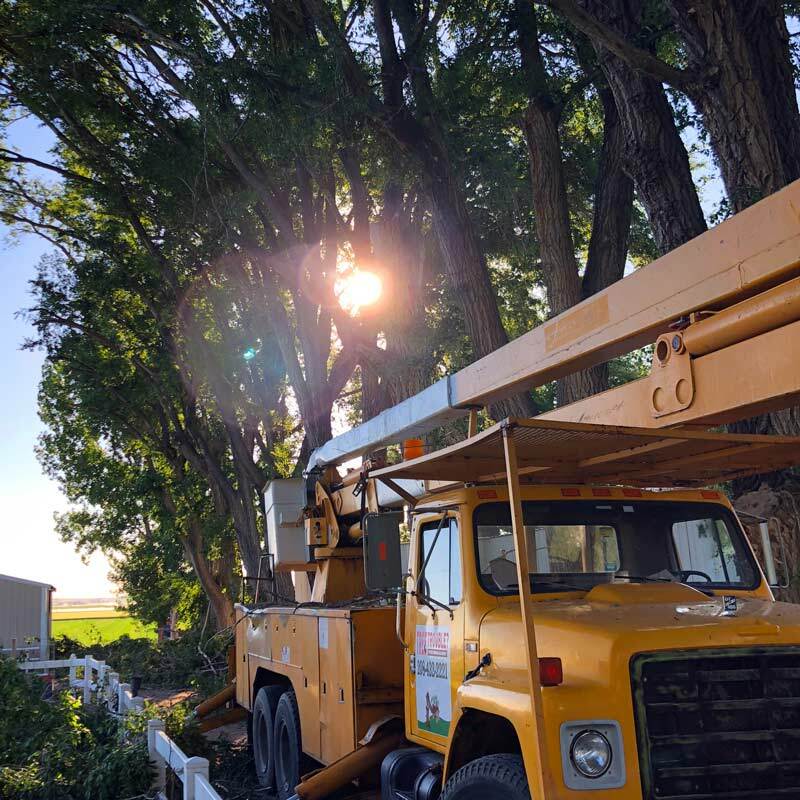 We recommend having your tree trimmed in order to remove as much infection as possible and then having it sprayed to kill off any fungus or beetle still left in the tree. We offer spraying for all kinds of trees, fungus, and beetles that may be affecting your trees health. To prevent your tree from getting infected, we recommend getting your trees sprayed annually. Every job is different, so every price is different. Scott will come give you a free quote and even work with you on payments if that’s what you need to do.